This post contains affiliate links--should you purchase any of the books through the links in this post, this blog would receive a small commission. In part 1, we discussed the different maternity models of care. While it is wise to carefully choose a health care provider and listen to his/her advice,it's also very important to do your own learning outside of the office. Being well-informed on your own will allow you to take a more assertive role in your health care and will help you know which questions to ask and which steps you feel you need to take for the health of you and your baby. This book was on my "list" for a very long time. I knew that I wanted a natural childbirth and I liked the message that was supposed to come from Ina May's book. Birth is a natural life process. Ina May is midwife with so much experience and a different approach to living life. I love that this book was broken up into sections. While you get a knowledge-based understanding of what happens to the body during labor and delivery, you also get birth stories. One of Ina May's theories is that there's not enough positive talk about childbirth, there's too much fear. She has many women share their positive, natural birth stories in order to help create a thought process about birth that doesn't revolve around fear. I highly (highly) recommend this book to anyone wanting to try a natural birth approach. This book was the perfect combination of everything an expectant mom needs--it covers it all from the time baby is conceived to the time baby is feeding. I used it during every part of my pregnancy. It was a great educational resource as well as a perfect reference when I needed to look something up or had a question. This book was added as optional reading for our childbirth class, so we used it and studied the childbirthing part extensively as part of our "homework." 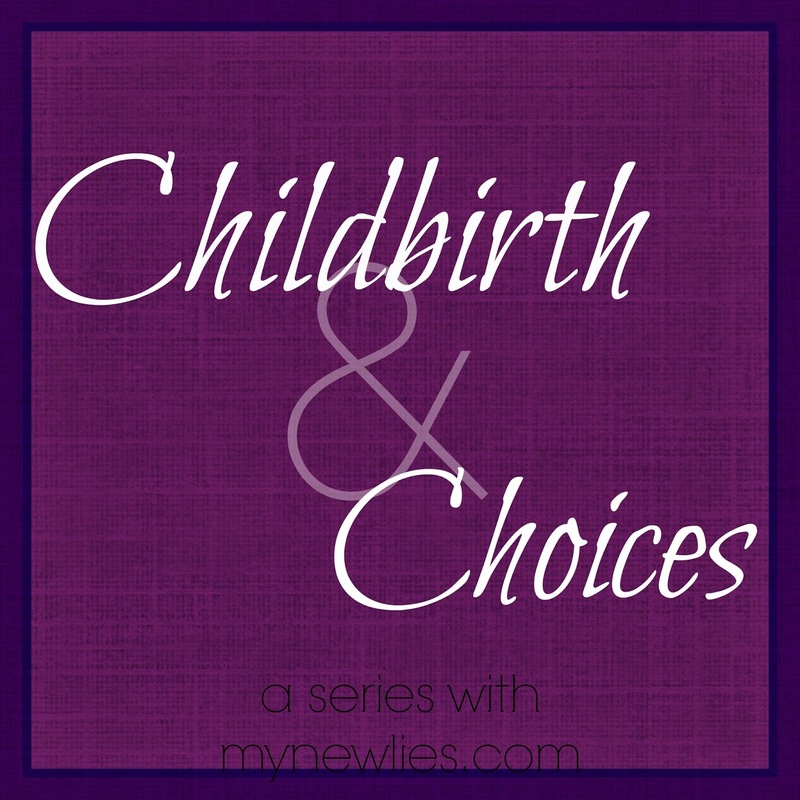 I felt like I truly understood what would happen to my body during childbirth. Lastly, there is a section on newborns. I underestimated the value of a book about the new baby you've brought home. I thought I needed a book during pregnancy? No, I needed a book as a new mom. There are so many questions and concerns that arise. This book helped out with a lot of them, including how many times JaiseAnn should be eating, how often she should be sleeping, and how many dirty/wet diapers she should have. I love the concept of journaling throughout your pregnancy and I wish I had more, especially now that she's here. I had a hard time sometimes connecting during my pregnancy, I think mostly out of fear. I wish that I had taken a few minutes every day just to reflect on my body, what I was doing, and connecting with my baby more. This book would be an awesome think to look back on and I think it would help create a positive outlook on your body and all of its changes during pregnancy. I wish I would have given Zach some more research to do. He is extremely research minded and would have gladly read anything I handed to him, but I didn't. This book includes information on the mom, baby, and dad. Dads-to-be experience different emotions throughout the mom's pregnancy. This would have been a great way to start some healthy conversations and give Zach some insight into why I was feeling the way I was feeling. This is one of the best decisions we made in preparation for JaiseAnn's birth. I cannot recommend this enough. I don't recommend just taking any class, but find a class that fits your wants and needs. Some of my favorite pregnancy memories with Zach happened at our childbirthing class. We had so much fun learning together and preparing for childbirth. We even came up with our own coping skills to use during labor. The time we spent in class, driving to and from class, and doing our "homework" for class will forever be a special memory for me/us. What do you want to learn about/what do you want covered? This varies from person to person and couple to couple. Some classes are simply a run down of the hospital, what to expect when you get there, when to go and where to go, etc. Other classes explain the childbirth process and give coping skills. Some classes take a look at the emotional aspects behind pregnancy and childbirth. It's important to know how much you want to know and what you hope to get out of your class. Who is teaching the class? What are his/her credentials? Is this class a one time occurrance, or will there be weekly classes? For how long? What is the cost of the class? Would it provide us with what we need/are looking for? Is it worth the price? Zach and I took a seven week birthing class--Confident Birthing--with childbirth educator and doula Kendyl May. I have never met a person like Kendyl. She somehow managed to make the preparation for childbirth a fun and exciting experience--sometimes even a romantic experience while teaching at the same time. Kendyl is very passionate about helping women prepare themselves for childbirth. She does not subscribe to one way of thinking (only natural births, only hospital births, etc..) Her objective is to educate and empower. She wants women to make informed decisions about their care and to have positive associations with the birth of their babies. This class is very hands on. We practiced different techniques and coping mechanisms. We learned. We got to know our spouses in a different light. We even delved into the emotional side of things. We spent time practicing different positions while experiencing differing levels of discomfort. We were given so many different things to try to help cope with discomfort during labor. Some worked for me and some didn't. Everyone was able to walk away with a few tools in their toolbox to help cope during labor. My favorite class was one that I had planned to skip. We were supposed to talk about different interventions that might take place and how to prepare for them and respond to them. 'I won't be needing any interventions." I thought and I almost didn't go. It turned out being a very important night for me. It forced me to think about the "what ifs" and to prioritize what things were most important to me. In the long run, I think it was a tender mercy that I attended class that night. I was more prepared for my unplanned induction due to that class. I enjoyed my childbirth class, more than most people can say. My mom repeatedly remarks that I really used the things I learned while I was in labor. She was impressed that those things weren't forgotten when the going got tough. I had practiced them in class over the course of several weeks and I knew what to do and I knew how to assert myself. Zach says he would recommend this class to any soon-to-be dad. He was able to be truly involved--the nurses even commented on his level of involvement. He was with me every step of the way and the birth of our daughter was really a united effort. If you live in the Treasure Valley area, I highly recommend taking a look at Kendyl's website and giving some thought to attending her class.